The Wellbeing range is primarily aimed at those most susceptible. All socks Bien-Être are specially designed to take care of your health and your feet. We put all our technology and expertise at your disposal for your comfort. 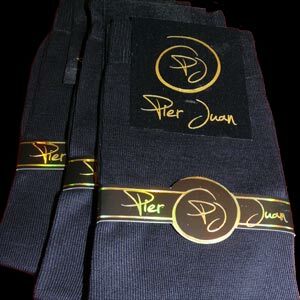 Like the Prestige line of socks, socks Welfare are presented in a sumptuous black velvet labeling, they are distinguished by a silver colored writing. This luxurious and refined presentation makes this sock a gift idea for man original and useful. Crocheted hand for a seamless finish, our socks provide you maximum comfort and no risk of pain for sensitive feet. In addition, the socks for people with sensitive or diabetic are not resilient to not compress the calf. The anti-batériennes socks have for their special treatment which prevents bacteria and protects your foot. Socks for people with diabetes or who have sensitive legs. This sock is not compressing and finishing with a seamless hand to take care of your feet.